When Reward Gateway was moving their London office, they looked at it as an opportunity to bring the company’s mission - let’s make the world a better place to work - to life. 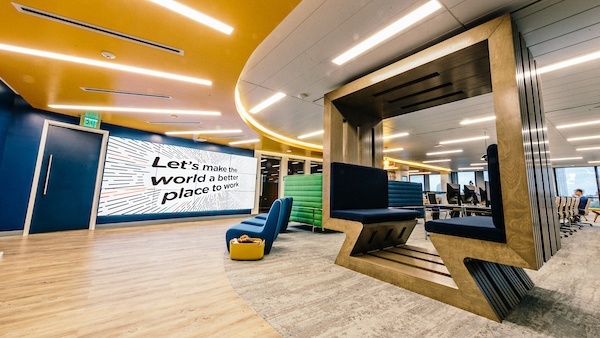 They wanted to use the workplace, their new home, to bring the components of The Engagement Bridge™ together in an experiential way that would inspire employees and clients by leading by example. Collaborating with commercial design specialists Area Sq and workspace strategy consultants Brightspot Strategy, a select team created a workplace vision to prioritize what the new space should reflect. By developing five objectives (Build Culture - Showcase RG - Connect People - Enable Success - Support Flexibility), Reward Gateway was able to capture the key ways in which the workplace would function and support employee engagement. This strategy made sure the end result was not just a nice place to work, but one that worked better for employees and the company. The new office pushes the boundaries of modern workplace design. 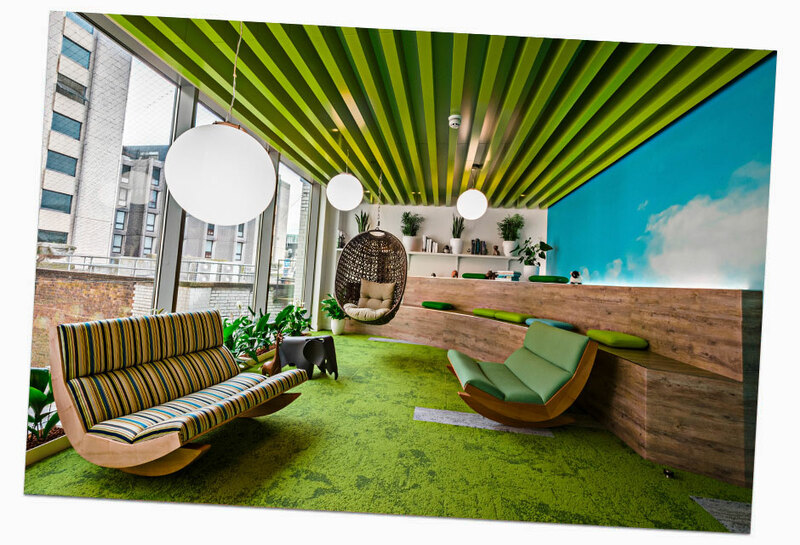 The agile workspace based around the concept of activity-based design features areas to support collaboration, teamwork and quiet, private thinking in recognition of the different work modes required by employees. Also, rather than assigning fixed desks, employees are free to choose where to sit depending on what they are doing, changing as often as their work modes change. To determine what work modes were required for the design, the workspace team held employee feedback sessions to discuss the activities that go into their role, why each activity is important, and what makes it effective. From this, eight distinct work modes were developed, aligned to the company’s values. These were mapped to the space design to ensure that the way people worked would be supported in the new office. A few examples are: retreat - where you go to recharge, plugged in - where you go to accomplish, and buzzin’ - where you go to collaborate. The results have been improved engagement and improved effectiveness, with engagement increasing by 14%, and the percentage of employees feeling that the workplace supports team effectiveness increasing by 156% and individual effectiveness by 9%. The office has not only turned out to be a great workplace for our employees, but our clients often use it for holding internal meetings, fostering our commitment to supporting them throughout their engagement journey. Consider how you can create an agile working environment for your employees, recognizing and supporting their various work activities. Consider how to include your employees in workplace design, ensuring their needs are met, and effectiveness can be achieved.